Our sun vibrates due to pressure waves generated by turbulence in its upper layers (the layers dominated by convective gas motions). Helioseismology is the name given to the study of these oscillations, which can shed light on the inner workings of the sun. Astronomers often detect brightness variations in other stars whose physical processes make them variable, like the Cepheid variable stars used to calibrate the cosmic distance scale, but it is much harder to detect solar-like oscillations in stars that are driven by convection near the star's surface ("astroseismology"). Open star clusters are well understood and provide benchmarks for studying stellar evolution, stellar rotation, stellar masses and ages, and many other properties, and so astroseismology would be a valuable addition by providing independent determinations of masses and ages for cluster members. But astronomers have not been able to perform such measurements on main sequence stars in an open cluster—until now. CfA astronomers Dave Latham, Allyson Bieryla, and Bob Stefanik were part of a team using K2, the refurbished Kepler Space Telescope to observe successfully these kinds of variations in main sequence stars. Kepler was designed to look for exoplanet transits through continuous and precise monitoring of a star's brightness. K2 stared at the stars in the Hyades cluster, about 155 light-years away, and took a brightness measurement roughly every minute for three months. The astronomers found small brightness variations across many timescales, but in two stars slightly larger than the sun they found variations about every ten minutes that were particularly intense, signaling solar-like oscillations – the first ever such detections. 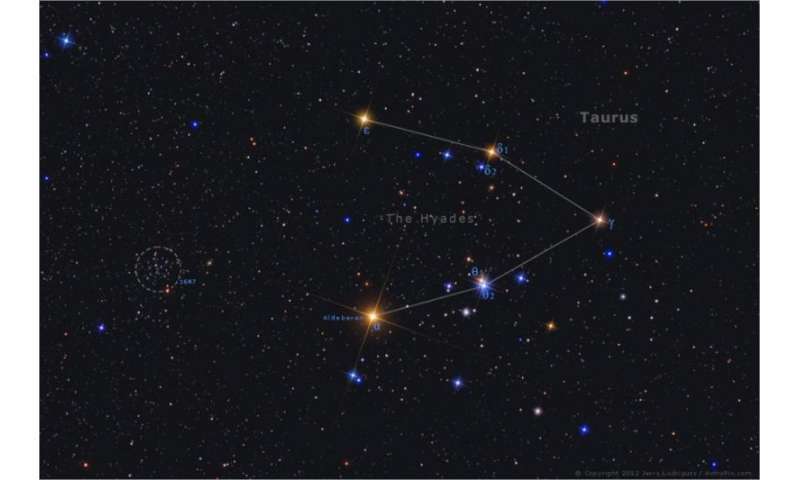 Since the Hyades is an important standard cluster, the team had already been monitoring its stars for more than thirty-five years, and know that both of these two stars are single. The scientists conclude among other things that stars are very fast rotators (less than two days each; the sun rotates in 26.2 days) which marks them as younger and quite different from the older, slower rotating population in the cluster. The new results illustrate the contribution that asteroseismology can make to the study of open star clusters, and the team plans to continue this work with future K2 observations.